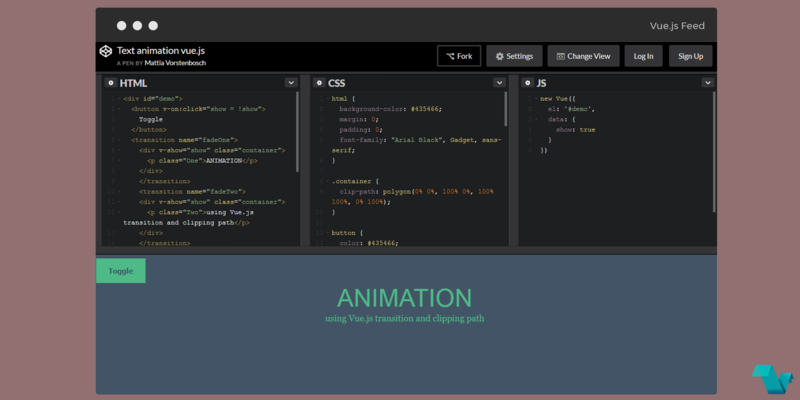 Apparently, it is fairly easy to use Vue.js transitions to create a text that animates. Click the toggle button below to see the text animation with clipping paths. Using a few lines of HTML & CSS you can take advantage of the built in transition system that Vue.js is offering and create the above result. Vue provides a variety of ways to apply transition effects when items are inserted, updated, or removed from the DOM. To use a transition, you can wrap the corresponding element within a transition component. Vue will append v-enter CSS class to the element before it’s inserted and v-enter-active during the entering phase. v-enter-to is the last class to be appended before the transition is complete. This is actually the ending state for entering. 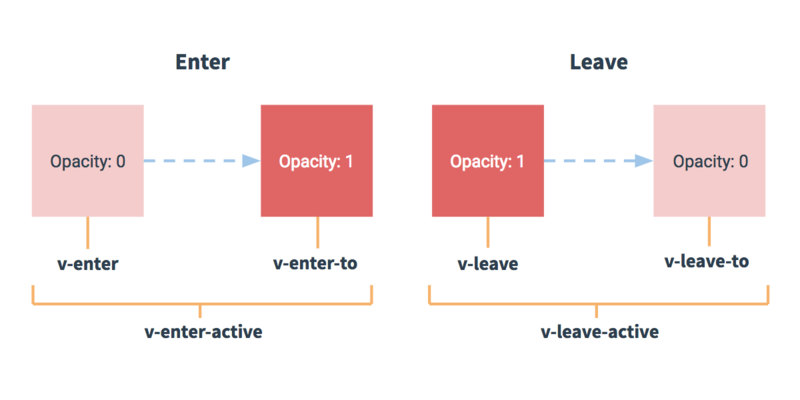 Accordingly, when the element is being removed from the DOM, v-leave, v-leave-active, and v-leave-to will be applied. So with a “transition” element and a name for the defined transition, you can take care of class handling. Vue will recognize the given name and it will add classes to that element and will detect if it has CSS transitions. You can read more about transitions at this post by Mattia Vorstenbosch, and at the official guide of Vue.js.